AAPI Voices say that the Slate got it wrong, but at least the Slate article on the most popular language in your State got the Korean states right. 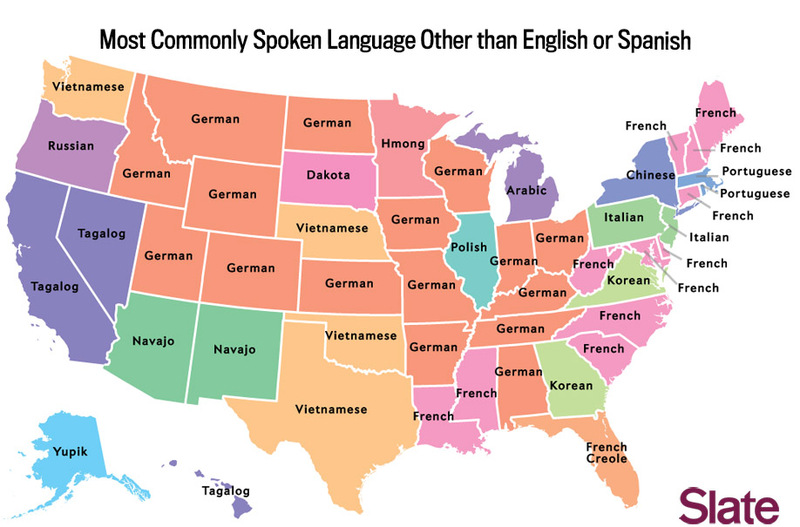 So why is it that, after Spanish and English, Korean is the most-spoken language in Virginia and Georgia? Between 1990 and 2000, Georgia was home to the fastest-growing Korean community in the U.S., growing at a rate of 88.2% over that decade. There is a significant Korean American population in the Atlanta metropolitan area, mainly in Gwinnett County (2.7% Korean), and Fulton County (1.0% Korean). I was expecting New Jersey and California to register on the map too, but maybe they’re so cosmopolitan that the Korean communities get buried in the data. Any other suggestions? Filed in: In the news | Koreans elsewhere | Koreatowns | Language | Statistics and league tables.